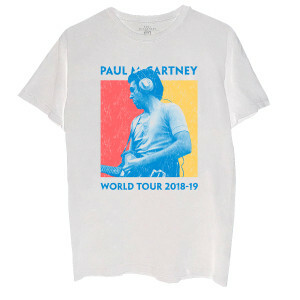 White t-shirt featuring Paul McCartney photo on the front and 2018-2019 World Tour dates on the back..
very cool shirt. It is true to size and the quality is good. The only thing I was a little disappointed in was the color block on the left is more orange than red as shown. Not a big deal. 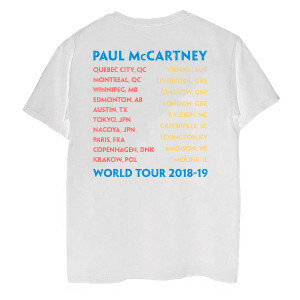 Wearing my shirt right now. Very comfortable material and terrific graphics. Comfortable, good size, and great design. 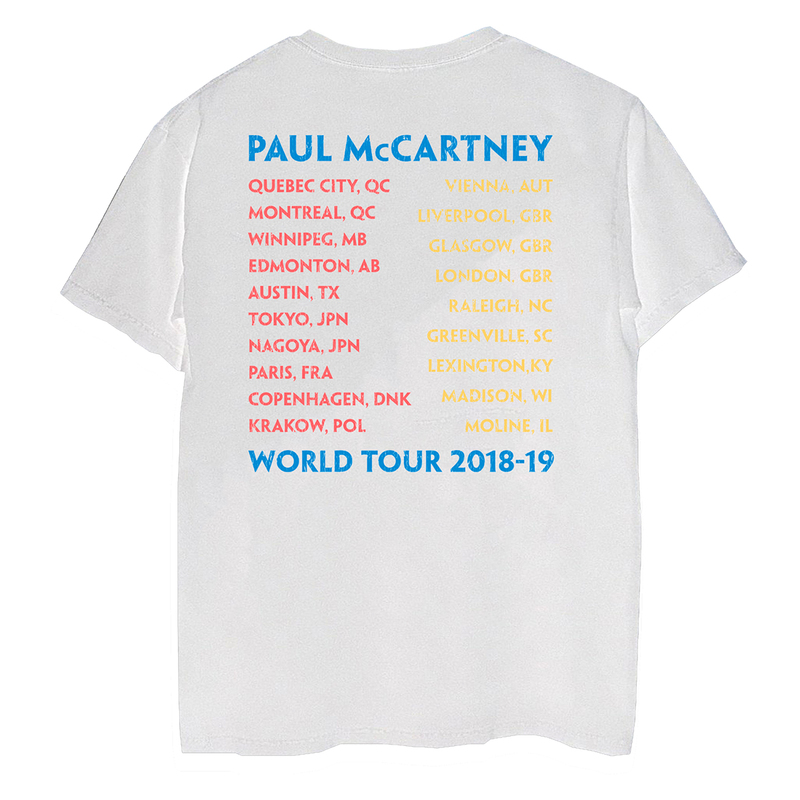 It has my favorite artist on the front, and my city on the back. What's not to love?